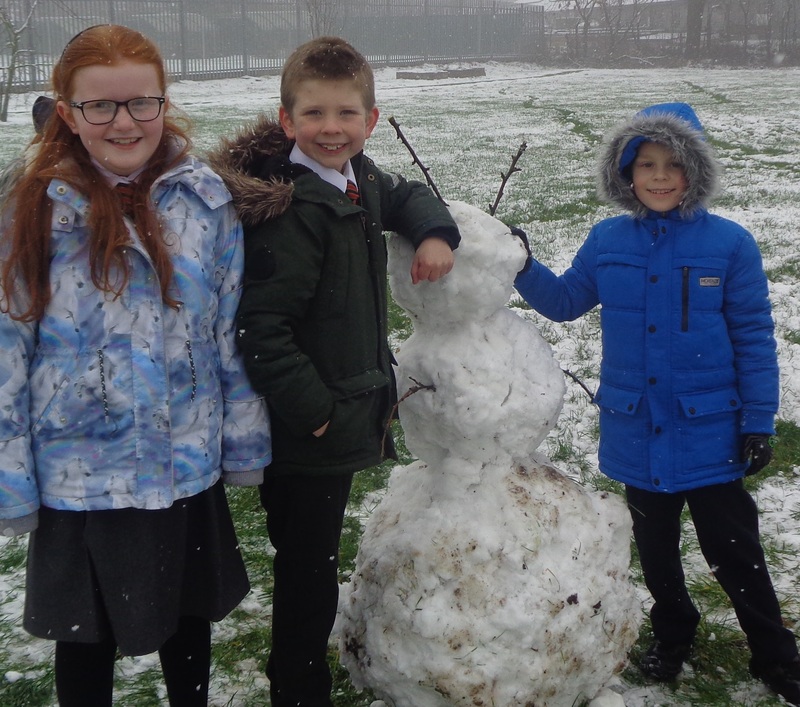 Year 3 started off the day by going out and making a snowman family. 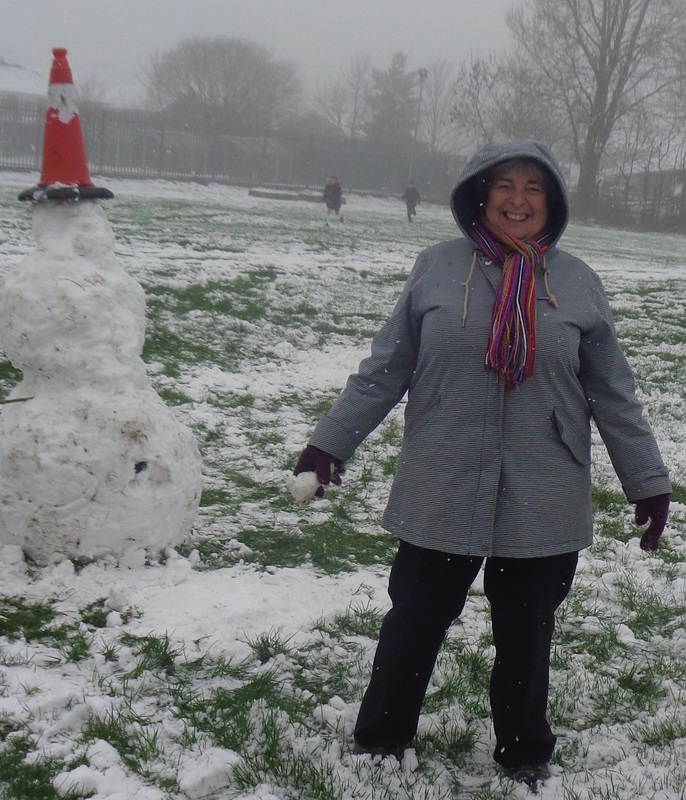 The other classes couldn’t resist coming out and joining in, leading to us having a snowman army!! 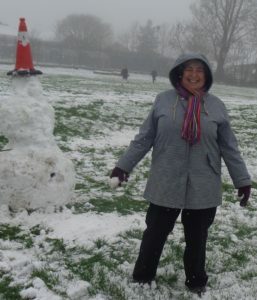 There was no snow left on our field when everyone had finished!! 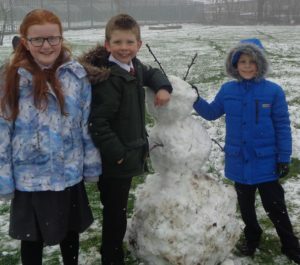 ← Reception class enjoyed the snow!